Jon Evans was born in Portsmouth, England and has worked in a fabulously dull series of jobs, none of which constitute a career. While doing these jobs the dream was always to become a writer and there were many false starts and unfinished projects. 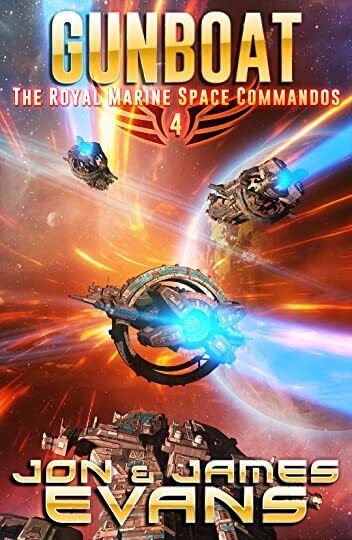 Commando & Guerrilla & Ascendant are the first three books in a space marine series about the adventures of the Royal Marine Space Commandos. Jon and his co-author (and brother), James, are working on the fourth book in the series now and it'll be out as soon as humanly possible. Gunboat will follow the Royal Navy & the Marines as they seek to bring the fight to the enemy. In the new year (2019) the first three books in the trilogy will be released on audiobook by Podium Publishing. Jon Evans was born in Portsmouth, England and has worked in a fabulously dull series of jobs, none of which constitute a career. While doing these jobs the dream was always to become a writer and there were many false starts and unfinished projects. In the new year (2019) the first three books in the trilogy will be released on audiobook by Podium Publishing. To ask Jon Evans questions, please sign up. Only two ships escape a deadly ambush that destroys an entire fleet. Can the crew of two battered Royal Navy vessels, and the Marines they carry stay alive long enough to make it home? We’d love your help. Let us know what’s wrong with this preview of The Royal Marine Space Commandos by Jon Evans.